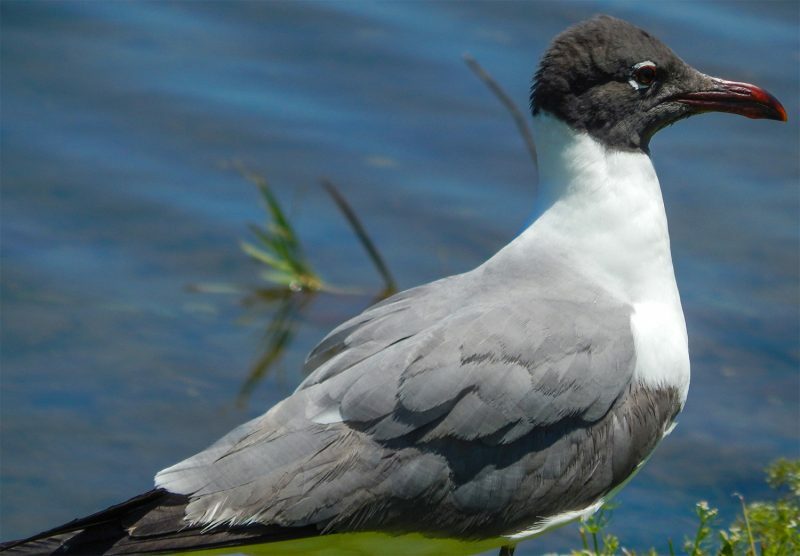 Once exclusive in Europe, the Mediterranean Gull (Larus melanocephalus) has migrated to many parts of the world included the United States. The distinctive markings on the Med Gull are its black head (hood), crescent white eyes a a contrasting dark red bill with black outlines. 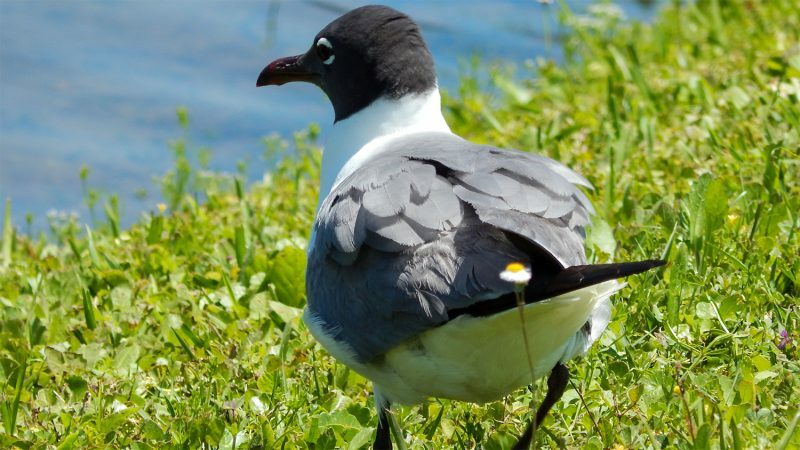 The Med Gull bird takes two years to reach full maturity. 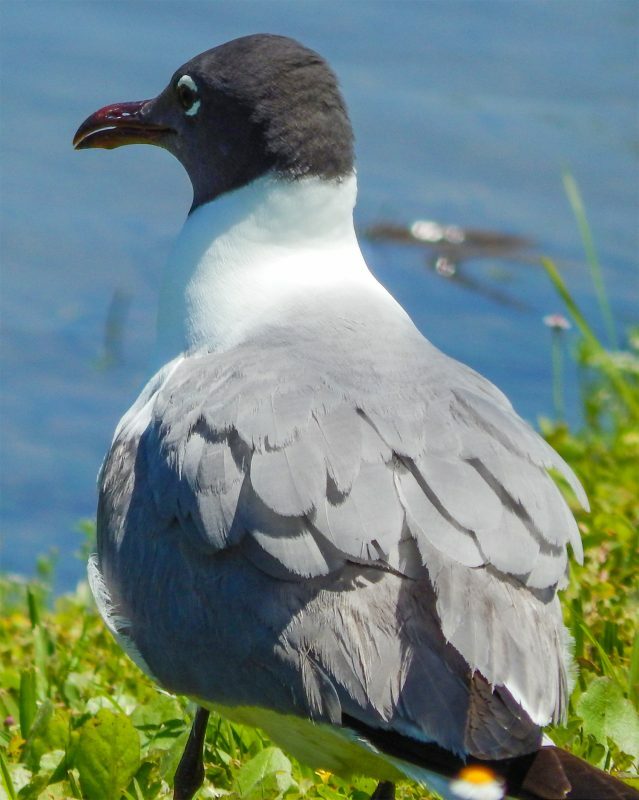 In its first year, the gull has a black terminal tail band and more black feathers in the upper wings with lighter feathers under the wings.